FUNVERDE, one of Brazil’s leading environmental NGOs, has publicly endorsed oxo-biodegradable plastic as the country’s most effective solution to plastic waste which escapes into the environment. 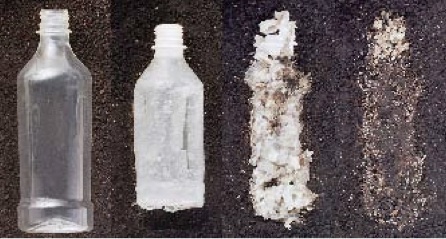 “In researching solutions to our plastic waste problem, we found that oxo-biodegradable technology causes plastics to convert at the end of their useful life into a material which will degrade, then biodegrade, in the environment in the same way as a leaf”, said Claudio Jose Jorge, FUNVERDE’s president. Symphony Environmental, the British specialist in oxo-biodegradable technology, expects to benefit substantially from this endorsement of the technology. Symphony already has a strong presence inBrazil, supplying a number of the country’s biggest names. d2w is distributed by RES Brazil, who have been authorised to use the FUNVERDE logo. Brazil has a substantial plastic waste problem and FUNVERDE has been conducting research into degradable plastics since 2005. They were looking for a plastic which would work as claimed and which could be verified by the necessary laboratory reports based on international standards which could prove degradability, biodegradability and non-toxicity.